It is week 21. Things are morphing into those fall veggies. There are really wonderful items in this box. I already made pesto with the basil and used some of the sprouts in tonight’s salad. 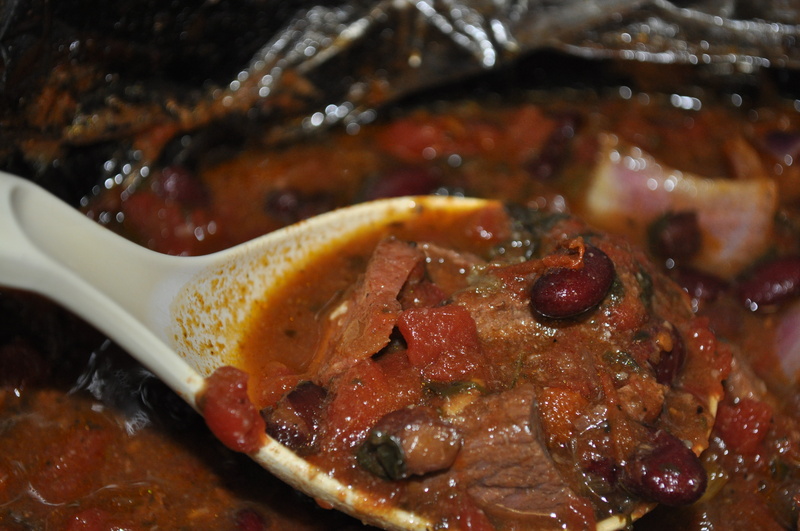 We made venison chili today, using freezer and CSA items from the past few weeks. As for making pesto, it was standard. At the moment, I am having computer problems on my “piece of garbage” Microsoft system, and my husband’s won’t cooperate and let me open my files correctly (another Microsoft product). I really need to trash all of them and get an iBook. Oh well. at least I got a post up. Posted in CSA, Food, Locavore and tagged cooking, crock pot cooking, CSA, Food, foodie, Locavore, real food. Bookmark the permalink. 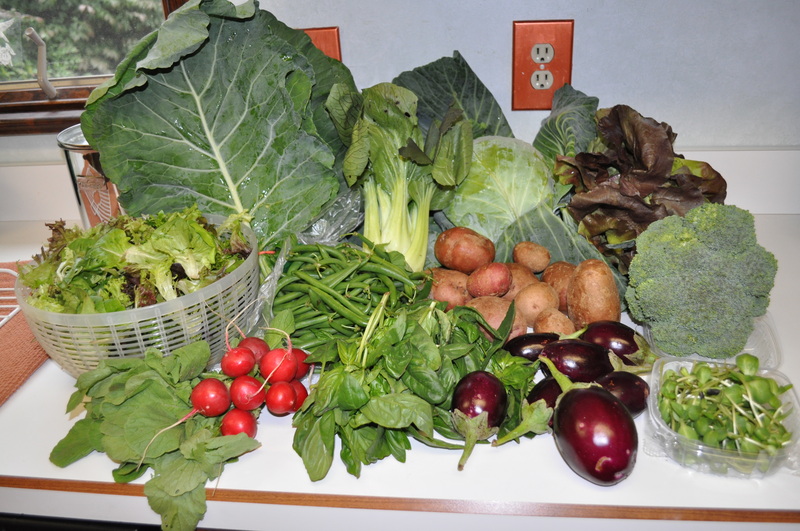 The One Straw Farm CSA share for this week contains: .lettuce, radishes, broccoli, potatoes, a huge sweet potato, popcorn, green bok choy, spaghetti squash, swiss chard, and purple cabbage.